SINGAPORE - Scholarships in the aviation industry are highly sought after by A-Level and International Baccalaureate (IB) Diploma graduates, a new survey has found. Changi Airport Group (CAG), Singapore Airlines (SIA) and the Civil Aviation Authority of Singapore (CAAS) made up three of the top five companies and organisations where students wanted to take up scholarships. The Public Service Commission was the top choice in the survey, released on Tuesday, with the Economic Development Board in fifth. Almost 3,000 respondents took part in the survey, which was commissioned by the BrightSparks scholarship portal and took place between February and April. The report said that those who had expressed interest in applying for CAAS, CAG or SIA scholarships had listed career opportunities as the top factor when considering their options. Ms Jessica Ang, director of marketing of the JobsCentral Group, of which BrightSparks falls under, said: "Singapore has one of the busiest airports with a robust air cargo hub and also has a strategic location in relation to half of the global population in the Asia-Pacific region. "The continuing expansion of Changi Airport (Terminals 4 and 5) and the rapid growth of the biennial Singapore Airshow... is also a testament to the healthy growth in the aviation sector." Career opportunities in the sector are numerous and diverse, she added. 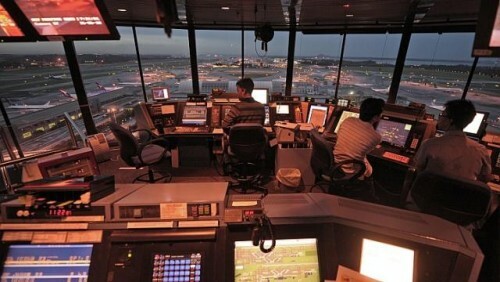 At CAAS, for instance, a scholar may be involved in an air traffic management role, while a CAG scholar may be involved in the planning and developing of further expansions to Changi Airport. Ms Ang added: "Aviation-linked scholarship providers may thus be seen by aspiring scholars as one of the fastest growing industries in the global arena."